The popular choice for Christmas dinner in Britain is still turkey but in recent years goose has been making something of a comeback. It is probably due to a combination of nostalgia, welfare concerns and the simple fact that roast goose is a rare but expensive treat perfectly suited to the finery of a Christmas table. Rearing geese is far more expensive than the intensive methods used for turkey. Geese for one thing will not locked in a dark barn but need to out and about for a gander. Some health and welfare scares in recent years over turkey have also persuaded consumers to look to other alternatives. 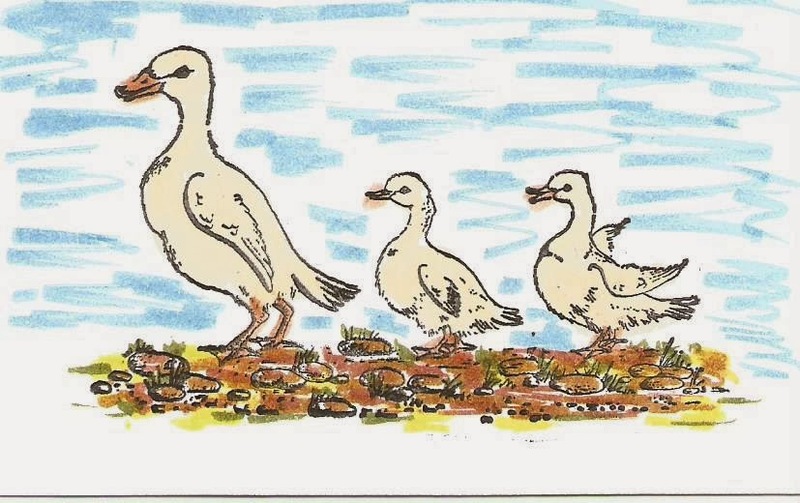 Goose is especially suited to being eaten at the end of the year as they are at their fattest at this time. In medieval times Michaelmas was celebrated on 29th September and a young or 'green' grass fed goose would be served. The remaining geese would fatten on corn to prepare them for the Christmas feasting. Such was the importance of having a goose on the Christmas dinner table in Victorian times that 'Goose Clubs' were a popular way of saving in London. These were savings clubs were a person would give a pub landlord a couple of pence a week in order to save up for their family's Christmas meal. A 'Goose Club' is described in the Sherlock Holmes story, 'The Adventure of the Blue Carbuncle'.